Greetings friends of the arts! It’s been a while since I have reached out and I wanted to share two exciting new venues I am participating in this fall. As you may already know, my studio is in Ashland, Virginia, located about 30 minutes by car from Downtown Richmond. I’m always happy to show my work at the studio by appointment to interested collectors. Even so, I have had a lot of people in the Richmond area ask where they might find my work closer into town. Now I am happy to announce my partnership right in the heart of one the premier urban shopping districts in RVA- Carytown! The Carytown Collective is a shared retail space bringing you the best that RVA has to offer in gift items, home accessories, beauty brands and art. Located at 3422 W. Cary Street in Richmond, the shop is open daily every day except Monday from 11 AM to 6 PM. For more information, contact the shop at (804) 353-1509. And be sure to follow their Facebook page! My second announcement is actually an event, which takes place in yet another premier Richmond shopping district. It’s an event I’ve been looking forward to ever since participating in the inaugural event last year. 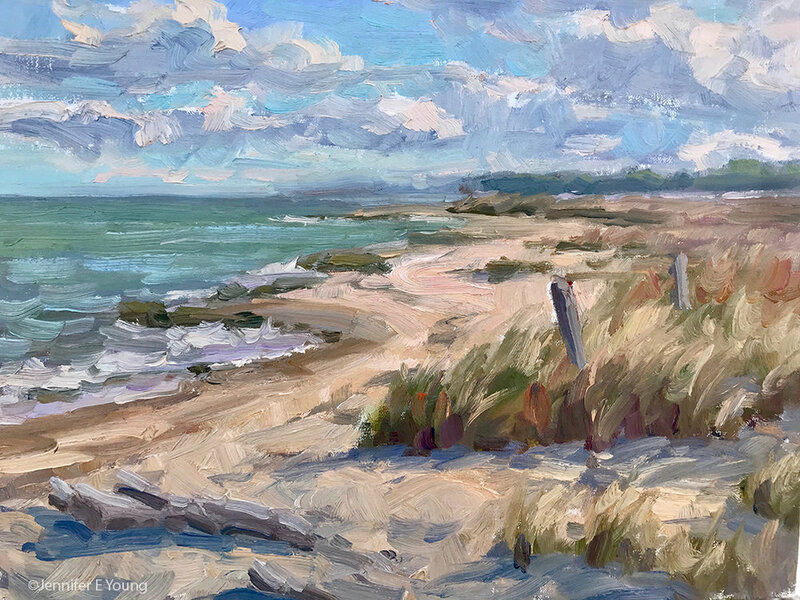 Plein Air Westhampton is a week-long plein air festival celebrating paintings of real-life Westhampton, completed by 23 local artists. 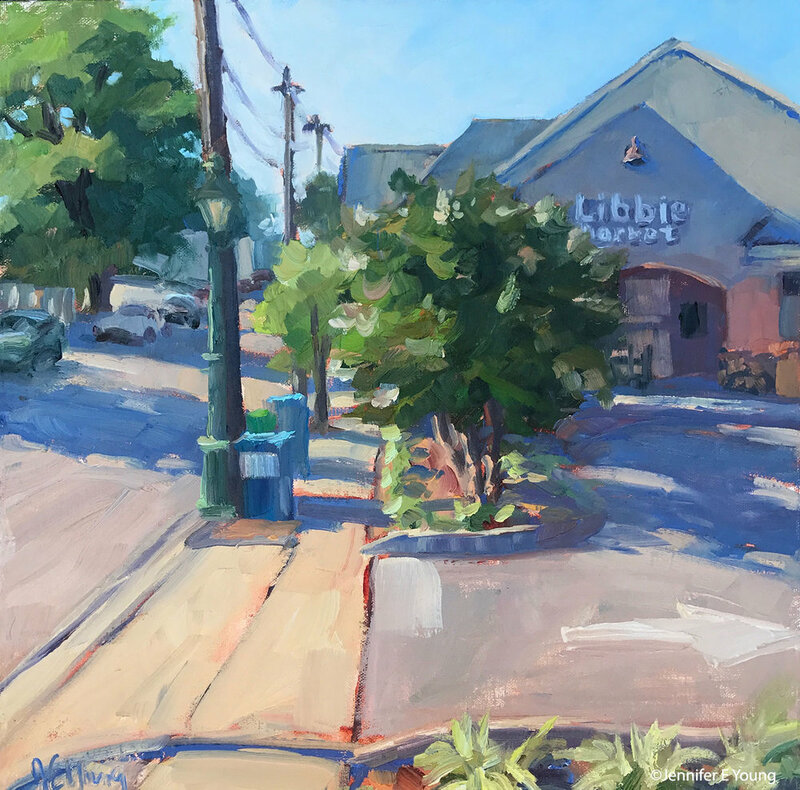 Artists will be working throughout Richmond’s Westhampton neighborhood during the week of Sept. 24 and present their creations during a show culminating on Sunday in the Plein Air tent, during Party On the Avenues. 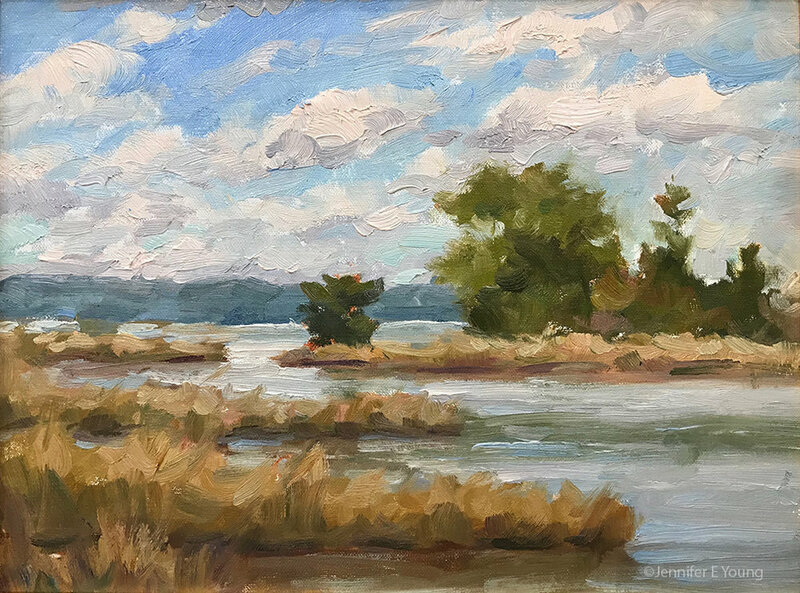 10% of Plein Air Art proceeds will benefit FETCH-A-Cure – an organization providing pet owners with awareness and access to pet cancer treatment. Follow @buypleinairwestrva on Instagram to purchase pieces before Party on the Avenues! If you’re local to the area, I hope you can come on out to see either me, my work, or both at these two great local venues. Each year in early spring the rural counties in Virginia are blanketed with sunny yellow buttercups, and each year I vow to get outside and paint them in the field. More often than not though, I miss their brief appearance for one reason or another. It’s a busy time at my daughter’s school, or I am preparing for a show, or moving, etc., etc., etc.) This year I got lucky, thanks to the sweet tip I received from my husband, who spotted this location on his morning drive to work. This dairy farm is about 20 minutes from my home in Ashland, out in rural Hanover County just past historic Hanover Tavern. I started out painting the barn and fields, cowless, with a plan of perhaps adding the cows later from photos I took on site. Just toward the end of my session though, the cows obliged, and ambeled over long enough for me to paint a suggestion of their general shape and position. I decided to leave them as I painted them in the field, as I felt the handling was consistent with the rest of the painting. I've heard it said that there's nothing new under the sun, and that's probably true when it comes to painting. Nevertheless, I never stop striving to improve, both in terms of technique and in how best to express myself. I want to make work that speaks to me and hopefully speaks to others as well. No one painting can say everything and I don't expect it to. The best paintings say just enough, with sensitivity, but without overstating. And then there are the ones that need re-stating. :-/ Often with such paintings it is easier to just wipe down or tear up my first effort and see if I can try again on a fresh canvas. Sometimes though, it seems worth the effort to attempt a revision first before scrapping the whole darn thing. If the painting is fresh and new, reworking is a fairly easy and straightforward task, as there isn't an under-layer of built up paint to compete with. But it may not occur to me right away exactly what change is needed, and it's only after sitting with it a while that I want to go back into it again. In these cases, a little bit of elbow grease is required, both to ensure proper adhesion of the new paint layers and to knock down any unwanted texture. 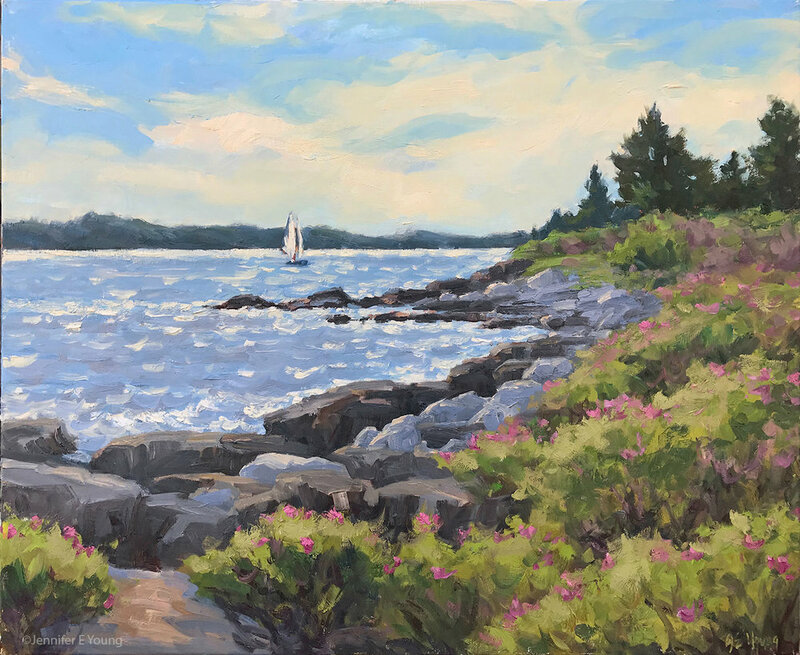 My painting, "Rugosa Coastline" is a studio piece that was based on a smaller plein air piece I did when I was up in Maine. After a few months of thinking about it I decided that it lacked something that the plein air piece captured. I felt the studio piece was labored, overall too busy, and the colors, especially in the foreground greenery, too intense for the time of day. So I set to work to see if I could make a few changes, to maybe loosen it up, and tone down the colors to ones more faithful to the time of day I was trying to capture. First pass of my 24x30" studio painting based on the smaller plein air piece below. My first order of business was to knock back some of the texture. Not all texture in the under layer is bad, but if there is a lot of texture that shows through as a "ghost" image I will sand it down a bit. If it's really built up I may find I need scrape it away razor blade, very carefully, (and pray I don't poke a hole in the canvas). Next I will "oil out" to give the new paint layer better adhesion to the partially dried layer underneath. To oil out, solvents or medium (or a combination) is brushed in a thin layer on the surface of the portion of canvas you want to rework. Most often I just use a little Gamsol for this purpose. The resulting painting was still a bit different than the little plein air piece, but it felt truer to the time and place and to the feelings that I had when creating the painting on the spot. I felt significantly happier with the revised version of this painting, and wouldn't you know, someone else did too? It sold not long after the revision. Tune in to part two in my next post, where I'll share another revision I undertook, which ended up with more extensive and fairly dramatic changes.